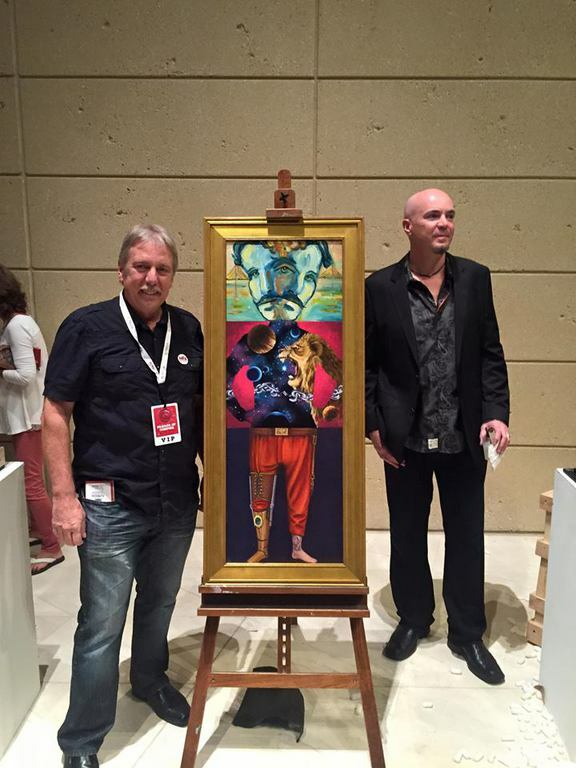 Thank you to the Barbaro-Gould Foundation for awarding their 2015 Artist of the Year to Don Gillespie. 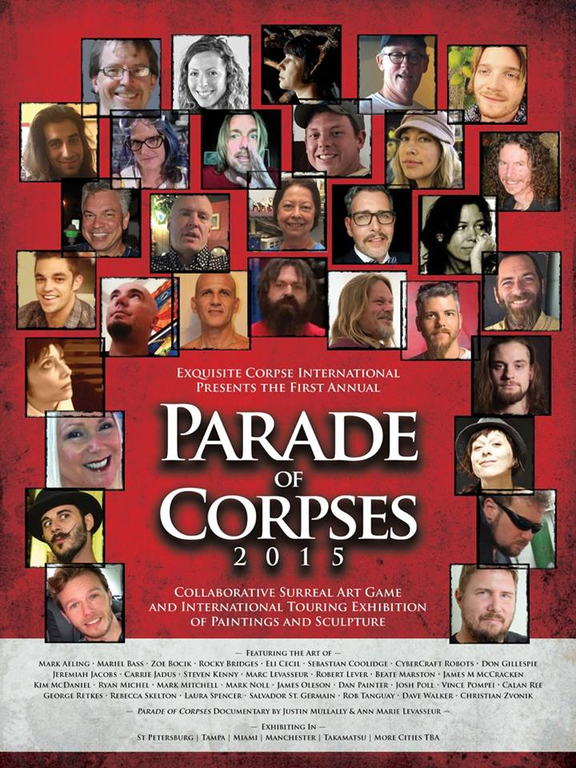 Don Gillespie recently joined with 30 other artists to participate in The Exquisite Corpse International 2015 game. The Exquisite Corpse is a game has been played for almost 100 years. The show was unveiled at the St. Petersburg Museum of Fine Art on November 12th 2015. 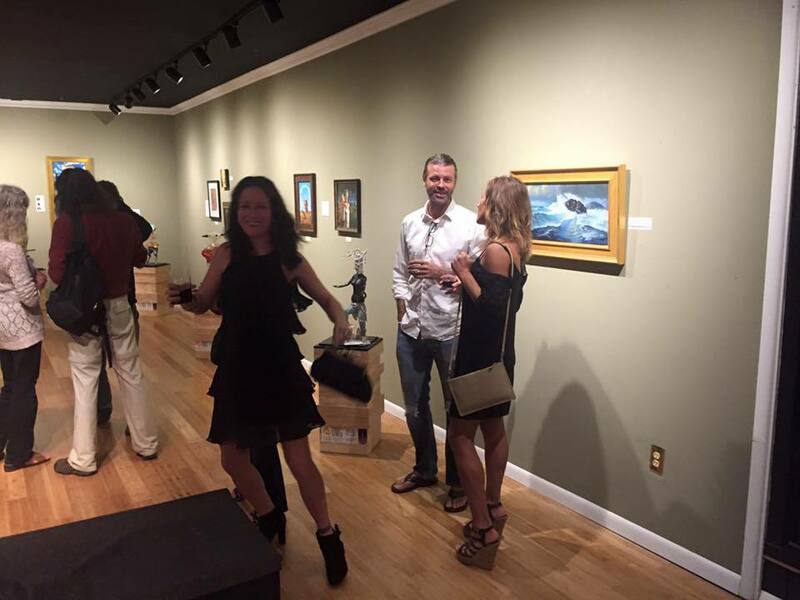 The show is on display along with other works of the participating artists at Gallery 1356, in Clearwater Florida until February 5th 2016. It will then begin a tour to other locations around the country and overseas. 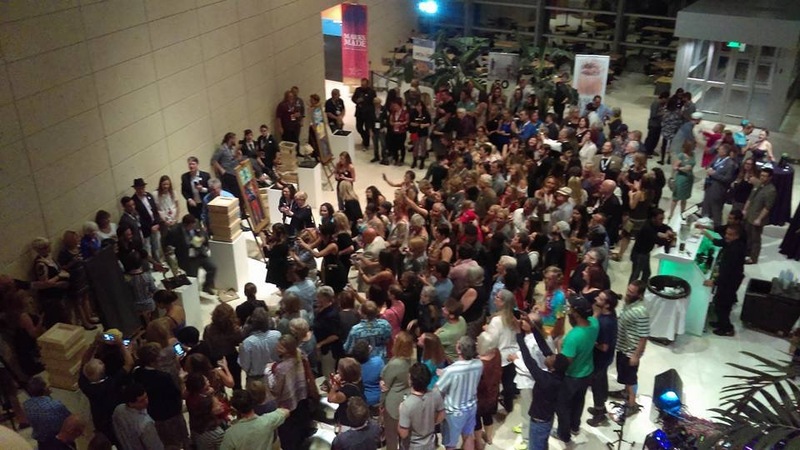 Kicked off 2016 with other artist friends from Softwater Studios drawing free 5 min portraits at the First Night Celebration in St. Pete Florida. Great challenge and Great Fun! 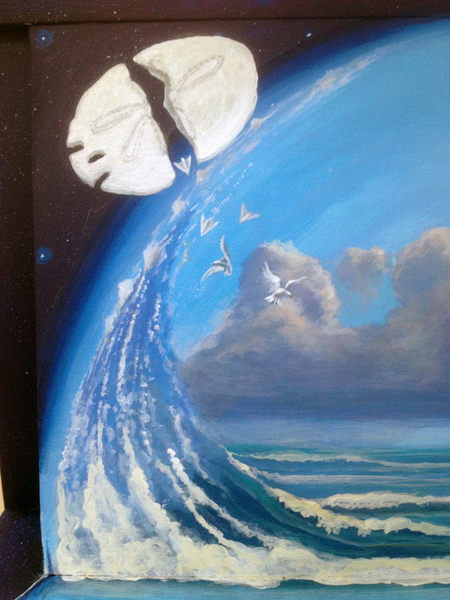 For the latest news on the Cloning Neptune Project click this link for the Blogging Neptune Page! For many years I was a concept artist for the space program, painting the future of space travel and interstellar exploration. Several years ago I became intrigued with the great marine painters of the 1800s, the artists of exploration in their day. In particular, I was drawn to the painters that were born in Oswego, New York, who became nationally recognized artists for their work. Many who now live in Oswego are unaware of the talent that this area produced in the late 19th century, artists such as James G. Tyler and Charles H. Grant. My desire was to inspire others by recognizing and celebrating these kindred spirits. 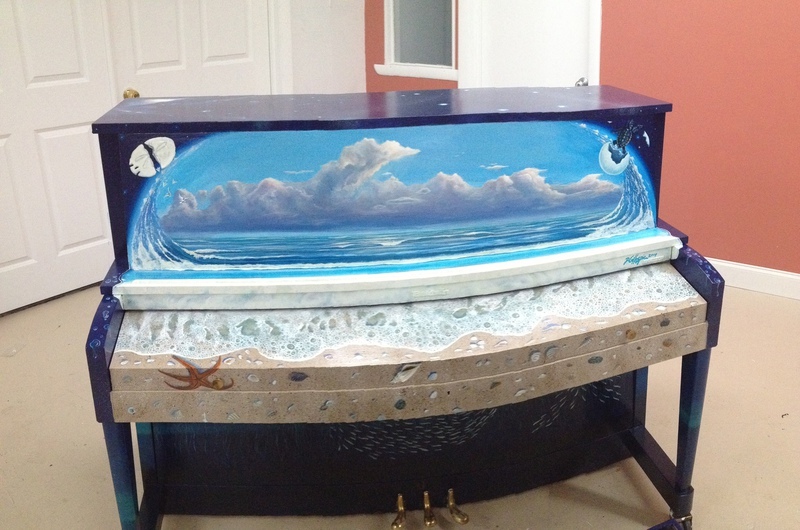 I embarked on an ambitious project in the summer of 2015 in Oswego, where I recreated a full scale replica of Charles Henry Grant’s seminal work, “At the Mercy of Neptune.” The 9ft by 5ft marine painting seemed to have been lost to the depths of time, but through rare photos and other related works, I used the techniques of both Mr. Grant and his instructor, the famous Dutch-American master marine painter, Mauritz Frederick Hendrik de Haas to reconstruct this masterpiece. The project was documened in a blog section of this web site titled Blogging Neptune. Grant was born in Oswego in 1866. He became inspired to paint at an early age and became a student of de Haas at The National Academy of Design in New York City. Grant later moved to San Francisco, where he gained much notoriety for his marine paintings. He then traveled with the United States Navy as their official artists when the fleet sailed to Australia in 1925. Interestingly, “At the Mercy of Neptune” was first displayed in 1896 on Bridge St. in Oswego: at my great grandfather W. R. Shayes’ art gallery and photography studio. The painting was seriously damaged in a mysterious gallery fire later that year. The repaired painting was shown at the New York State Fair in 1897 and received rave reviews. The painting was eventually purchased by a prominent judge named L.C. Rowe and hung in his residence in Oswego for many years until his death in 1928. It was bequeathed to his wife Emma and from there, its fate is uncertain. 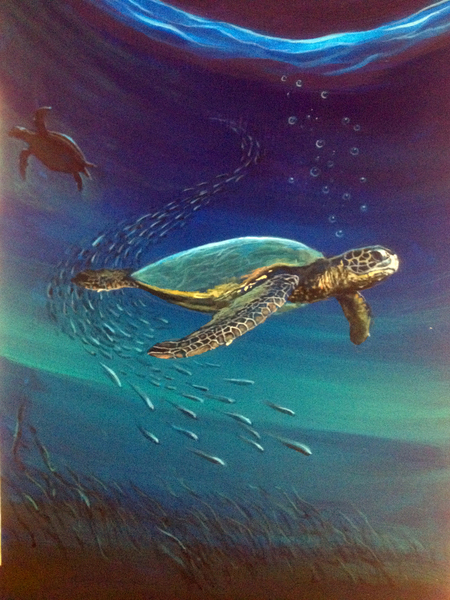 The H. Lee White Marine Museum agreed to allow me to paint the reproduction in residence at their facility. The finished painting was donated to the museum and hangs prominently in the main gallery. 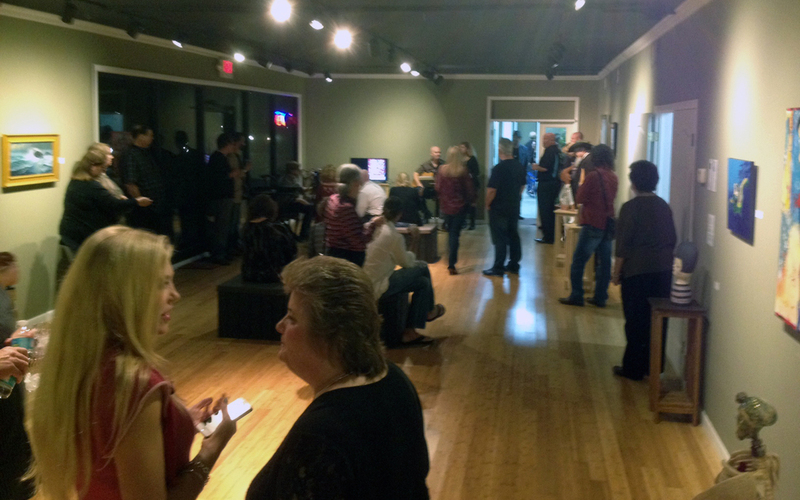 In conjunction with that ambitious project, I gave presentations about the artists to interested groups. I finished the painting at the New York State Fair, painting live in front of thousands of peple answering question and listening to their stories, what an awsome experience! 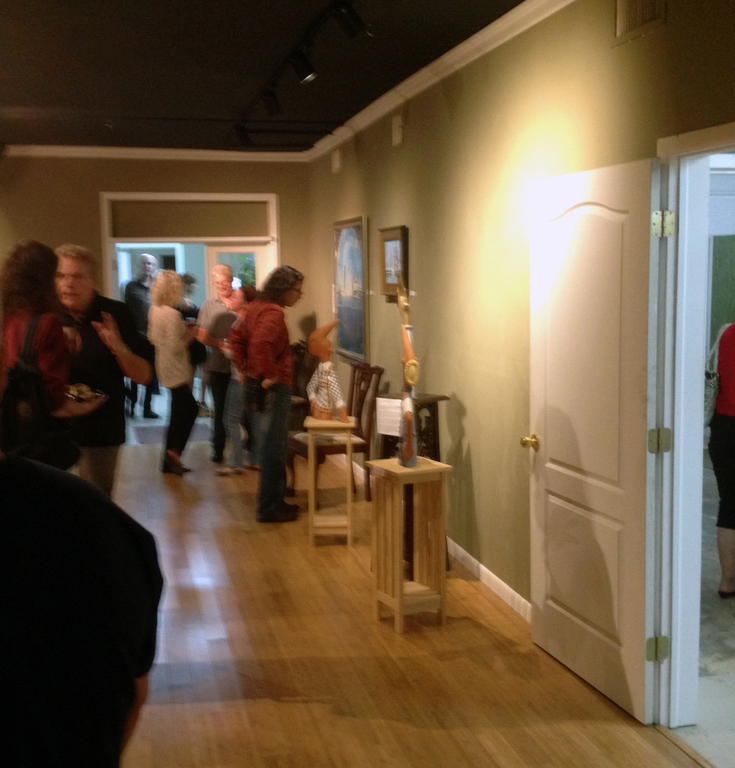 I also arranged an art show of marine pieces by local artists, children artists, and included original works of these 19th century artists. Art is an essential ingredient to a healthy community and can be a strong economic driver. 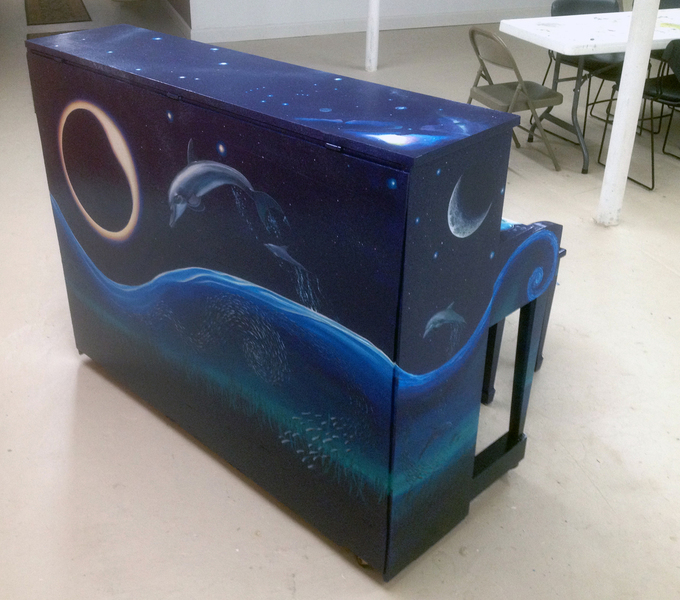 It is important to encourage all ages to express their creativity, and this project did just that while educating through truly inspiring historical figures from Oswego County. The Barbaro-Gould Foundation, a not for profit 501(c)(3), whose mission is to facilitate the global exchange of culture through art, assisted me in raising funds for the project. All donations through Barbaro-Gould are tax deductible. May we list you as a donor? If so, by what name? 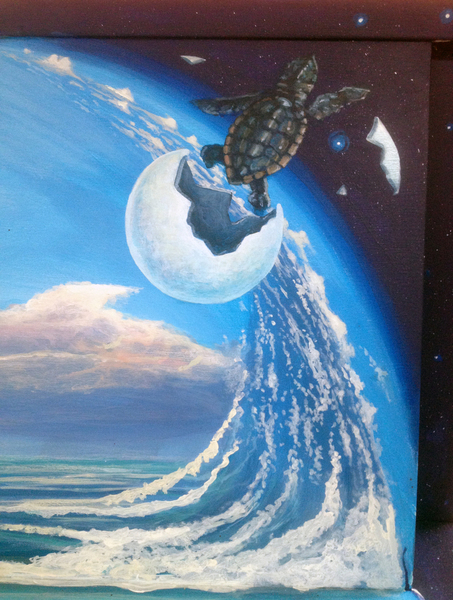 December 15th 2014 - Interview with Tampa Bay Fox 13 concerning my aerospace paintings. A project for a good cause. 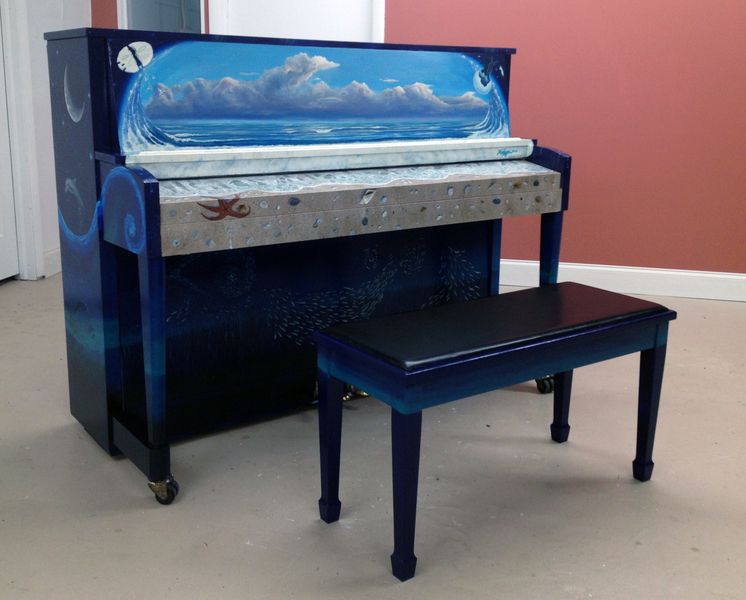 Don Gillespie's piano on its way to Winter's Dolphin Tale Adventure at 300 Cleveland Street, Downtown Clearwater, Fl . 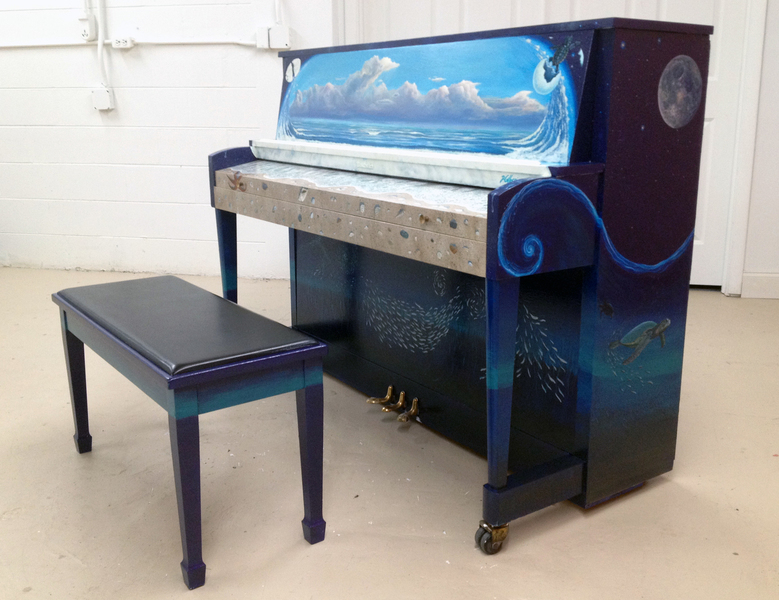 Part of the Clearwater Arts Alliance, Pianos in Pinellas Project. 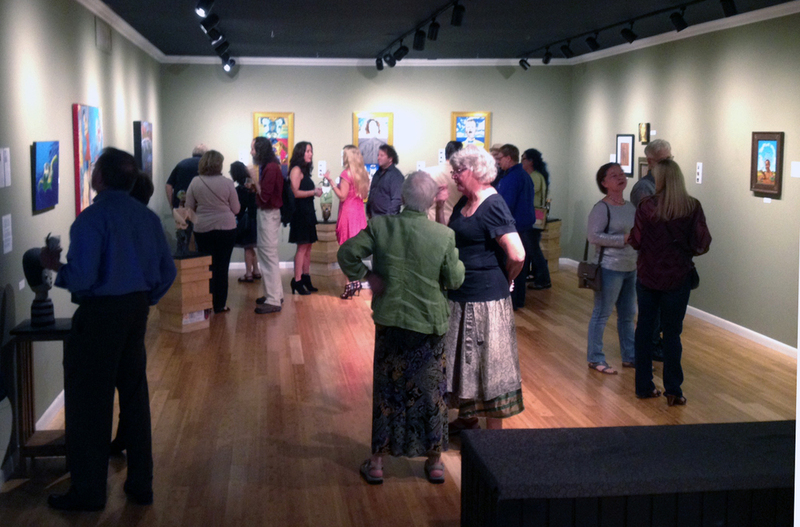 Click here to learn more about the Kindred Spirits Exhibit in Oswego New York, May 17th to Aug 31st 2014. 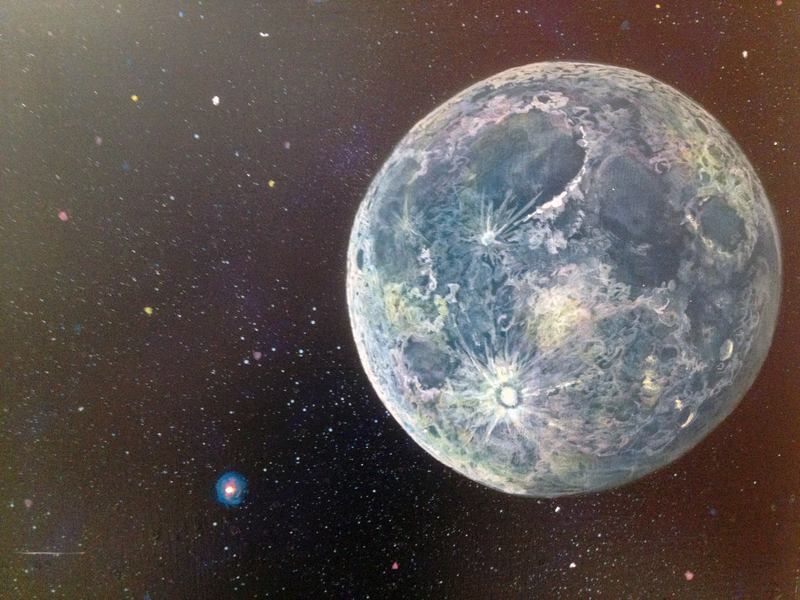 Don Gillespie’s art exhibit “Through Space and Time” will be on display at Ruth Eckerd Hall’s West Gallery from September 13th to November 29th 2013. Gillespie’s paintings span a 35 year art career, ranging from his early days as an aerospace artist to recent works. The 27 paintings include Oils, Acrylics, and Watercolors. 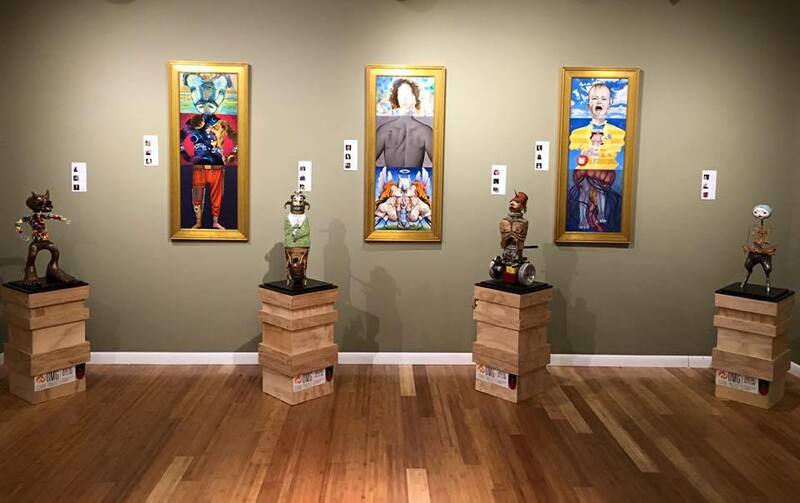 They are a diverse collection of artist concepts, introspective surrealism, fantasies that include local landmarks, and traditional period pieces. Gillespie’s artwork has been displayed around the world including New York, London, and Paris. The galleries are not open during the week to the general public but are open during all Ruth Eckerd Hall events. A ticket to the scheduled event is required for entry. May 17th to August 31st 2014 at the H. Lee White Marine Museum Oswego, New York. Here are 2 fine art canvas giclee prints of my paintings which will be auctioned at the 2014 Annual 1812 Lynx Fundraiser event on March 8th at the St. Petersbug Yacht Club, St. Pete, FL. A BIG THANK YOU to Jerri and Scott Menaul of The Canvas Zoo for these excellent Fine Art Canvas Giclees . 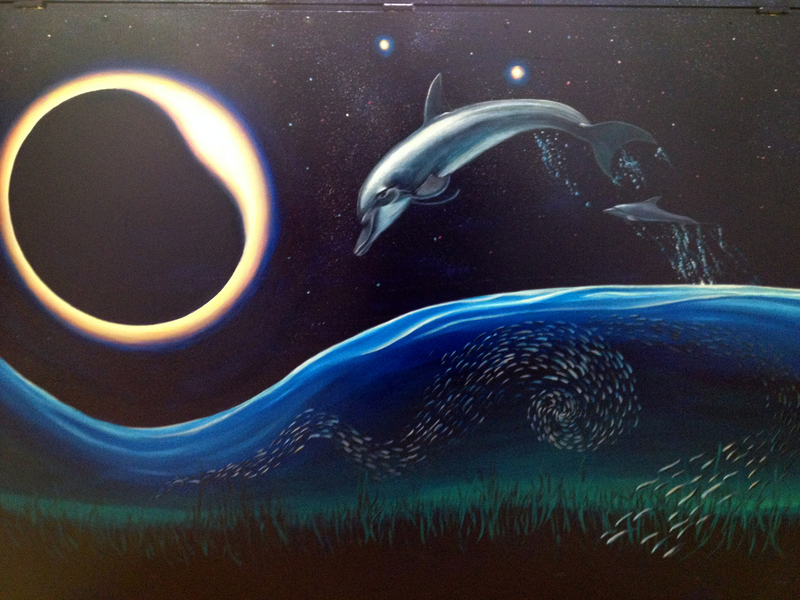 Painting in the Lobby of the Vinoy Renaissance Hotel, St.Pete Fl.